A MURDER ON LONG ISLAND: The Last Advocate-A Joey Mancuso, Father O’Brian Crime Mystery (Volume 2) QUEERS DESTROY SCIENCE FICTION! The Stories! Kickstarter Funded! Well, here at Skyboat, we’re happy to accommodate. We have been the exclusive producers and narrators of Orson Scott Card;s audiobooks for over two decades. It’s soemthing of which we are deeply proud. 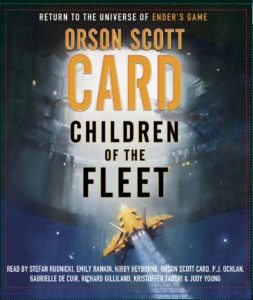 In CHILDREN OF THE FLEET, the first volume of THE FLEET SCHOOL SERIES, we get to hear the story of the Fleet in space, parallel to the story on Earth told in the ENDER’S SHADOW series. Check out this amazing full-cast production. Frequently we get asked: in what order should I listen to the audiobooks? Click here for a history of the audiobooks and a chronological story-line listening guide to the Ender Universe audiobooks. 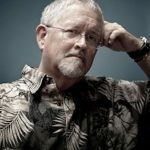 About the author: ORSON SCOTT CARD is the author of the beloved classic of science fiction, Ender’s Game, the bestselling Ender’s Shadow series, as well as the acclaimed fantasy series The Tales of Alvin Maker. In addition to writing, he teaches occasional classes and workshops and directs plays. He lives in Greensboro, North Carolina.